We celebrated World Password Day (May 7) 2015 with a Twitter chat on password safety. Long, strong passwords are easier than you think. Learn how with these tips. We hosted a Twitter chat live from RSA Conference 2015., discussing ways you can raise online safety education and awareness in your community.We hosted a Twitter chat live from RSA Conference 2015., discussing ways you can raise online safety education and awareness in your community. Learn easy ways to secure your online accounts and make them practically unhackable. Get online safety tips and learn how to give your digital lifestyle a spring cleaning. 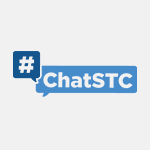 In this #ChatSTC Twitter chat, we covered everything from how to keep your devices safe to social media and passwords. We're going to discuss some of the steps you can take to make your home network a little more secure. Nothing is 100% foolproof, but there are steps you can take - using a layered approach - that will improve your online security and reduce your chances of becoming a victim.